There are many things that can make your wedding in Spain go from good to perfect, and the most important is to work with the right team of experts. 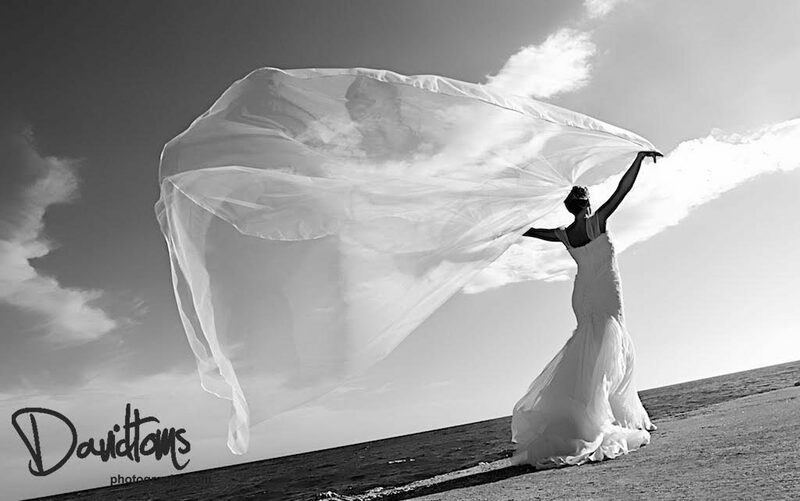 At Sunshine Weddings Spain we have a huge array of suppliers that we handpick and suggest to our bridal couples, so that combined we can make anyone’s wedding day plans become a reality. I am lucky that, after so many years in the business, I can truly count many of the wedding professionals I work with as friends – one of which is wedding photographer extraordinaire David Toms. You have been working with Scott and the Sunshine Weddings Team for a long time. Tell us how you both met. Scott and I met many, many years ago. Wow, it must be around thirteen years now. I was the wedding photographer at his sister’s wedding in Spain and we hit it off straight away. Sometimes you just click with someone and I knew he’d be a great guy to work with, and all these years later I have photographed over 400 of his weddings! What made you want to become a wedding photographer? Great question because there are lots of reasons why I got into this. Firstly I wanted to be able to creatively interpret what I see. I’m a very passionate person, but I’m also dyslexic, so I wanted to go into a profession which fulfilled me spiritually. To me life is a collection of moments, so to be able to capture them is a pure joy…and you can’t get any more ‘in the moment’ than a wedding. I’m an old romantic, so everything I do is heartfelt and my interpretation of the way I see the day unfolding through my lens. This can be both awesome and challenging, a rollercoaster of emotions, no two wedding are ever the same. But it’s so much funs, lots of great energy, positivity and romance. I love working with such an array of people, it’s so uplifting – there aren’t many other jobs that can give you all of that! Bridal couples always look like they are having so much fun in your photos. What’s the best thing about being a wedding photographer? You have to give to receive. I give a lot of energy and positivity to the day, so those pure joy moments come easily and naturally. Your pictures are so bright and happy. What do you love about documenting weddings in Spain? One thing you get at a wedding in Spain is incredible light, I rarely have the challenge of shooting a wedding in rain and gloomy weather. Plus the Spanish culture and breathtaking locations mean I get the chance to be creative in my photography as each day is totally unique and vibrant. Look out for Part 2 of this interview next week where we find out what inspires David, and what he finds the hardest thing about photographing weddings in Spain.